Shirin Neshat has broken boundaries by fearlessly exploring gender roles in the Middle East -- especially her native Iran -- through photographs (often in stark black and white, overlain with Farsi script), video art and richly stylized films like her 2009 feature Women Without Men. 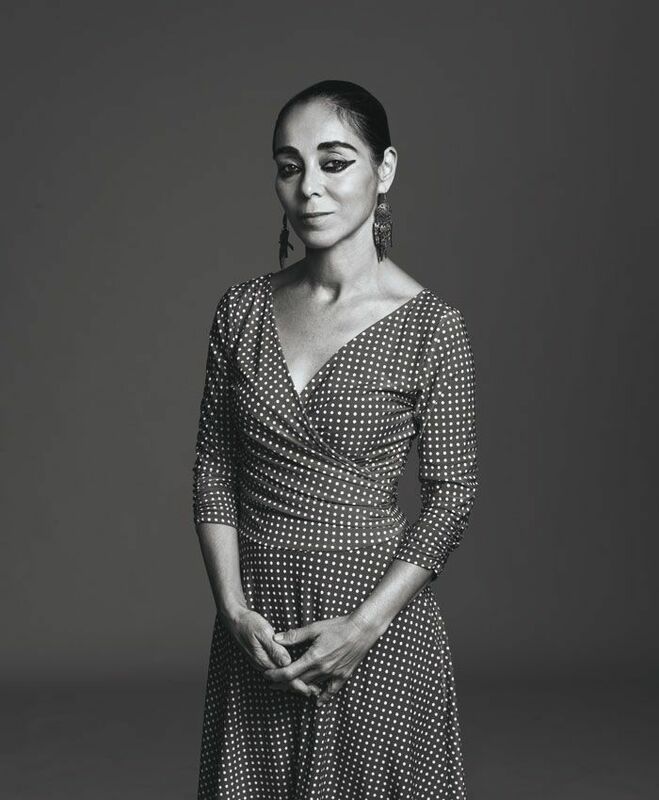 An American expat with an undying, if complicated, love for her mother country, Neshat makes art that speaks for oppressed and marginalized people everywhere. Personal OGs: Filmmakers Jean-Luc Godard, David Lynch, and John Waters. Writer Orhan Pamuk has been an undeniable and a radical force. Robert Wilson in theater. Among musicians, Patti Smith and Bjork have remained unchallenged and truly original. Artists Cindy Sherman, Matthew Barney and William Kentridge as well as Miranda July and Mika Rottenberg. And the Iranian rock band Yellow Dogs. I've been mostly inspired by master filmmakers like; Andre Tarkovsky, Ingmar Bergman, Luis Bunuel, Krzysztof Kieslowski, Federico Feilini, and recently by younger generation like Paolo Sorrentino and Richard Linklater. And although my work has no parallel to Louise Bourgeois, she remains a major inspiration for me, both as an artist and as a woman. And in literature, Shahrnoush Parsipour and Forough Farokhzad, both Iranian woman poet and writers have been a tremendously influential in my life and work. I would say the biggest obstacle or rather challenge for me has been how to continue to believe in myself and my work, despite the usual ups and downs that any artist faces once their career lasts more than a short period. In general I see the process of my work whether in filmmaking or visual arts, all about setting up a set of problems and then looking for solutions. There seem to be a tremendous sense of 'struggle' that comes along with this process, but I like that aspect and it has become rather addictive. If I could be honest, finding ways to suppress a deep and constant sense of anxiety that I have developed ever since childhood stands as the core of who I am and why I make art. My lifestyle, even my concepts and narratives, are all rooted in that attempt to neutralize my dark thoughts and emotions. I have therefore become a very obsessive and stubborn about protecting that 'space' that helps me live a more meaningful life. I was always obedient and tried hard to please my family. I was very drawn to religion, politics and was super romantic about becoming an artist one day. When was a time that you have felt truly hurt or shaken by a criticism or a set-back in your work? Of course there have been many set-backs, rejections and disappointments through out my career, but I think the break down of human relationships and collaborations have been most painful. I'm criticized by critics and the public, but I was recently surprised and upset when a friend/writer who had for years defended my work, suddenly published a negative and critical article about one of my exhibitions. What hurt me most, was the irony that he never visited that exhibition, rather his arguments were based on the information he had gathered. Yes. I am an artist who can only function within a sense of order -- structure, and once that's dismantled, I'm totally lost. My worry is that if I let go too much of myself, the work becomes too compromised and loses its "soul," so while I remain quite open to suggestions, I stick to my own ideas. I think success only feels special when you have truly strived for something that has been hard to achieve. For me, the Silver Lion and Best Director awards that I received in 2009 at the Venice International Film Festival for my film Women Without Men felt most meaningful, because the film was so difficult to make. I had spent six years battling with one crisis after another, artistically and professional and there were times that I felt I would never see the end of it. Once it premiered and was well received, I felt a tremendous relief and sense of gratification. I'm always very skeptical about fans I remember advice a friend once offered me; "Never take praise too seriously and never take rejection too seriously." It makes me very nervous when I see people too enthusiastic about my work, I don't really believe them. Have you seen anything recently that you think is radical? I loved the movie Boyhood by Richard Linklater for its very radical concept of following a family in the span of 12 years. It was brilliant to see how the director never compromised and kept to his original idea over the years and finally managed to make a film that feels seamless, crystal clear and profoundly effective and moving.